Diamond Peak’s summit elevation of 8,540 feet gives the ski area a vertical drop of 1,840 feet (4th longest at Lake Tahoe) with 655 acres of varied skiing and riding terrain serviced by six chairlifts. There are free shuttle services all over Incline Village so locals or visiting skiers and snowboarders can leave their car in town, jump on the bus, lap Crystal Ridge all day, and then finish their ride with a local Alibi ale at the Lodge. With Snowflake Lodge overlooking Lake Tahoe and the historic Flume Trail cutting right through the ski area’s boundaries, Diamond Peak represents Incline Village’s unique heritage and passionate outdoor community that surrounds the lifts. Sierra Nevada College’s proximity to the ski area not only means students can sneak in turns between classes, but they also use the ski area as a lab for their various studies. Diamond Peak continues to be a pioneer in the Tahoe Basin with technological developments and modern guest service techniques. Looking to the future, Diamond Peak is working on a new Master Plan with opportunities for year-round access to alpine recreation. 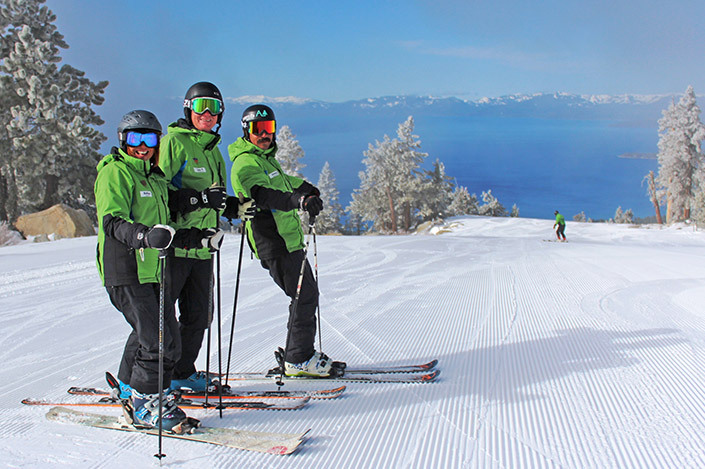 Come enjoy affordable lift tickets and panoramic views of Lake Tahoe from this community-owned resort—operated by the Incline Village General Improvement District (IVGID). 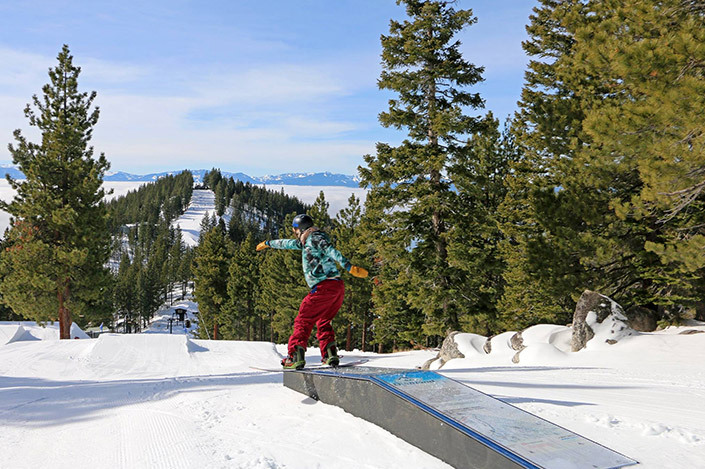 New for the 2017-18 season, was the addition of the Lakeview Progression Park, which not only featured sweeping views of Lake Tahoe while your mid-air or mid-slide, but it also recycled the resort’s old trail maps into the box features. The Spillway Park is another terrain park on the mountain with views of the lake and all parks at Diamond Peak are designed to for you to progress responsibly and stay stoked with creative lines and features that incorporate best practices in terrain park design. Former Woodward Tahoe and Boreal parks crew member, Matt Melilli, leads the Diamond Peak terrain park team with precision, innovation, and safety with experience from the annual Cutters Camp and Snowboarder Magazine’s Superparks. SMART Style signage keeps everyone within their skill set between Lakeview and Spillway parks so you can keep progressing and try that tree jib with confidence when you leave the park on a powder day. The marketing department at Diamond Peak followed STOKE’s Communications Strategy Template when creating their own communications plan to ensure transparent, honest, and consistent messaging about sustainability initiatives across all departments to mitigate the risk of greenwashing. This way, you stay informed and can get stoked on authentic sustainability programs that your lift tickets support. 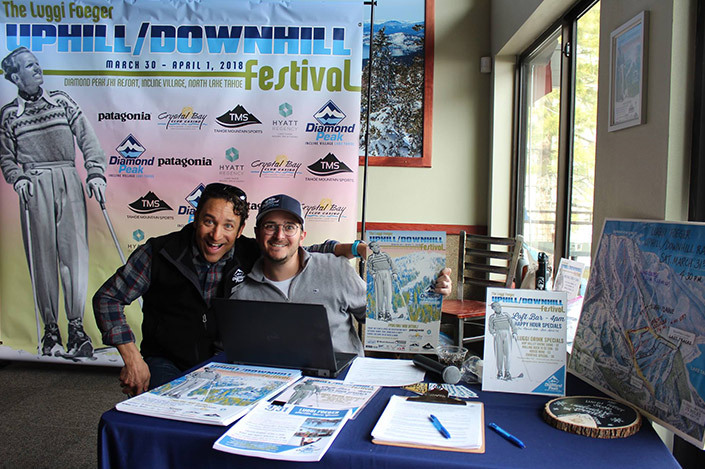 Furthermore, the ski resort’s surveys now include questions about their guests’ perceptions of Diamond Peak’s sustainability initiatives so management can make corrective actions to improve education and promotional accuracy. As a community-owned ski resort, operated by the Incline Village General Improvement District (IVGID), the ski resort is included in several annual community reports and local stakeholders are engaged where appropriate such as the Master Plan Steering Committee. 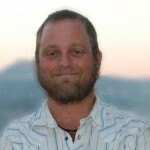 Diamond Peak and IVGID’s Sustainability Coordinator utilized the STOKE Sustainability Management System Template to create their own comprehensive set of policies and procedures for their sustainability initiatives. The SMS is the sustainability equivalent of your trail map, barometer, master plan, and avy beacon all rolled into one. It guides all management practices, staff training, policies and procedures, goals and implementation strategies. This is the ski resort’s go-to planning document and your guarantee for an epic day on the hill for many winters. To expose our mini skiers and shredders to Tahoe’s beauty, a children’s coloring book called “The Natural World of Diamond Peak” featuring local flora and fauna was designed by illustrator Kate O’Hara from Reno for the Children’s Ski Center. 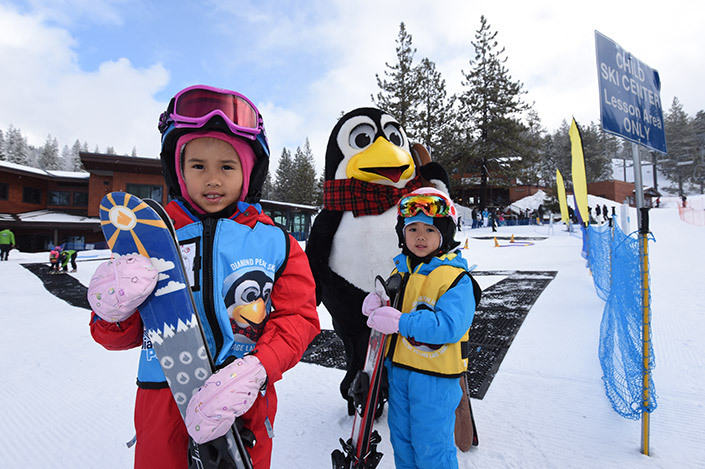 The Children’s Ski Center also has a program called the Sierra Scouts designed to teach young children about the animals, trees, and ecology that are indigenous to the Tahoe area. The program is integrated into school group ski lessons and learning takes place on and off the mountain. 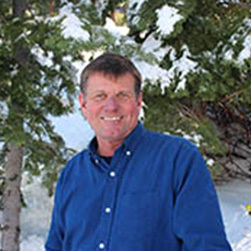 In addition to the ski lesson content, instructors cover topics that correspond to locations on the mountain that have interpretive signs about the environment and ecosystem. Upon completion of the program, students are awarded the Sierra Snow Ranger badge. Legendary skier, Luggi Foeger, served in 10th Tenth Mountain Division during WWII before designing the ski area and was the first Ski School Director at Diamond Peak. Honoring the mountain’s military heritage in a way, the ski resort participates in Achieve Tahoe’s annual military sports camp to take a group of veterans who had been injured in the line of duty up to the slopes. 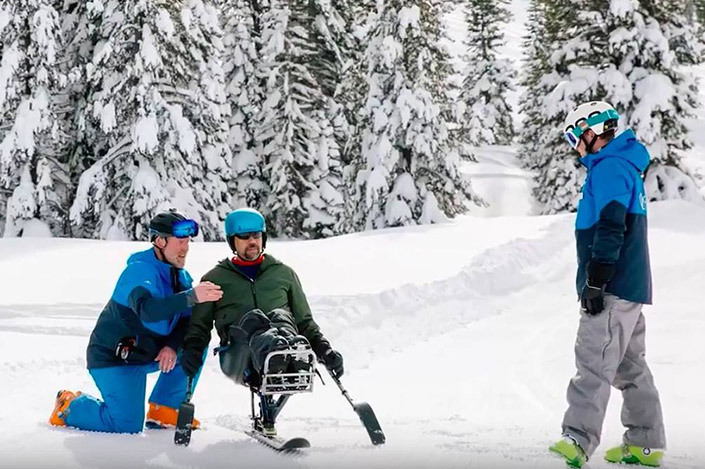 The local nonprofit has provided adaptive sports for people with disabilities for over 50 years with many resorts in the Tahoe Basin supporting this program. On another note, Incline Village schools incorporate an engineering theme from their curriculum into each year’s Dummy Downhill at Diamond Peak, where the local hospital, fire department, and other local health organizations table at the event to promote community benefit programs to residents and employees. Diamond Peak is dedicated to their employees in more ways than one. They offer environmental education through Waste Not as well as recreation benefits through IVGID’s facilities, health benefits for full-time employees, and fair wages, averaging 36% above minimum wage (45% above minimum wage for employees over the age of 16 and 27% above minimum wage for under 16). The ski resort also provides two free shuttles to serve employees, pick up visitors, and encourage carpooling for all. Diamond Peak and IVGID provide free shuttles all around Incline Village from lodging providers and schools to the ski area and other recreation facilities around town. 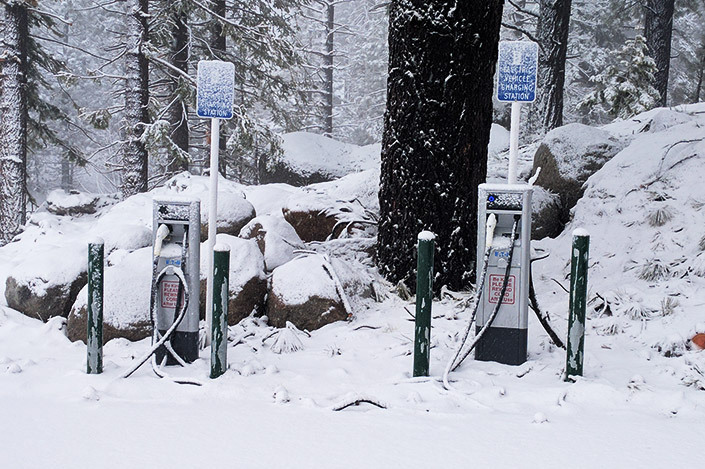 Guest and Incline Village residents can also enjoy the use of two free EV charging stations in pole position for first tracks on a powder day. 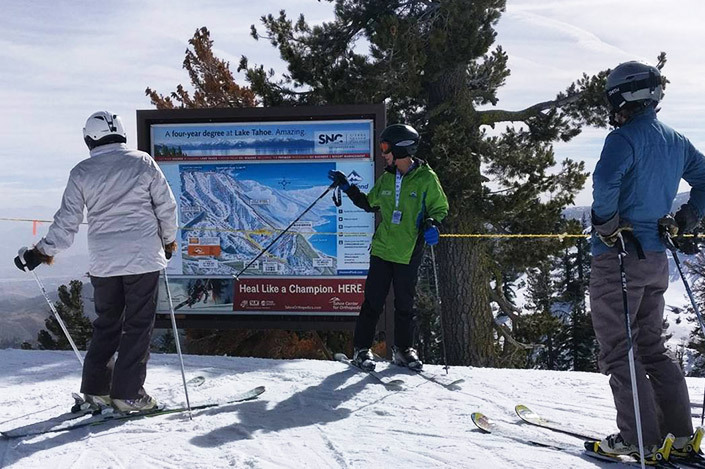 With Sierra Nevada College literally down the street, students can not only sneak in turns between classes but also use the ski area as a lab for their various studies in ski area management and sustainability. To support and provide guidance to the approximately 50 high school student employees, Diamond Peak’s HR department is developing a mentorship program while local students enjoy extra motivation to study with the “Straight A’s Program” which rewards students with a season pass if they bring home straight A’s on their report card. The resort also partners with SOS Outreach’s Tahoe chapter to provide opportunities for at-risk youth to engage through adventure sports. With the historic Flume Trail intersecting the ski area's boundaries and ski runs seemingly ending right into Lake Tahoe, Diamond Peak represents the region’s unique heritage and stunning natural beauty. In addition to the retro ski film series, Ullr Fest, and 50th-anniversary events last year, new for this season, skiers and riders could take a guided interpretive tour of the mountain’s cultural heritage, ecosystem functions of the Tahoe Basin, and the ski resort’s sustainability initiatives. 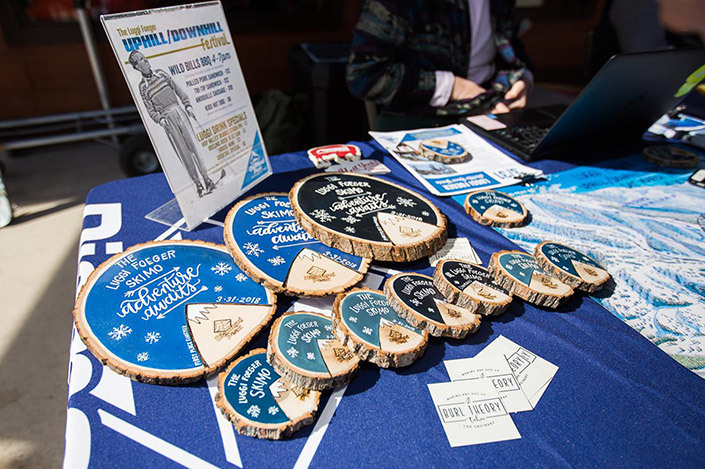 Another new event was the Luggi Foeger Uphill/Downhill Festival which honored the ski resort’s original designer and legendary skier with a race to hike up and ski down the mountain with the winners receiving custom trophies carved locally by Tahoe Burl Theory. Diamond Peak is invested in keeping the legacy of Incline Village and a pristine Lake Tahoe alive. That’s why they have partnered with the Take Care Tahoe campaign with U.C. Davis Tahoe Environmental Research Center. 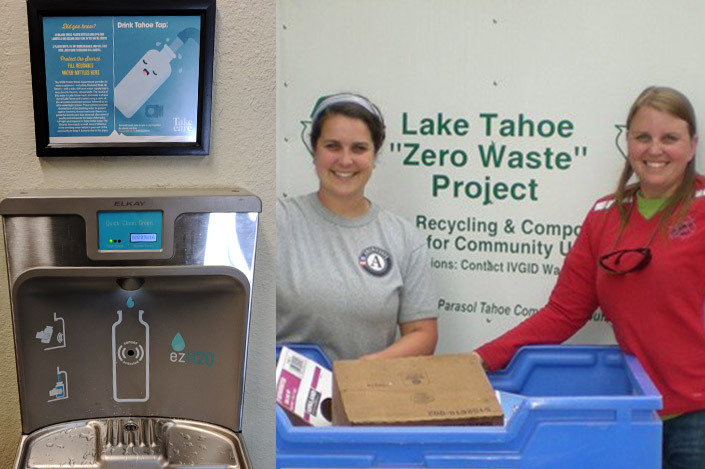 It is an open source movement led by the Lake Tahoe Outreach Committee, a group of organizations working together to help inspire a greater sense of community and environmental responsibility/stewardship in the greater Tahoe Region. They have implemented many incentives including a chair-back sign campaign featuring witty and fun reminders about picking up trash, water conservation, and keeping Lake Tahoe clean. Beyond recycling old trail maps into their new terrain park features, Diamond Peak has averaged 36% waste diversion since they started recording it during the 2014/15 winter season. This practice has avoided 446 metric tons of CO2 from 2015–2017, equivalent to removing 95 cars from the road for one year. In line with this year’s Earth Day theme to end plastic pollution, the ski resort has been striving diligently to reduce the use of single-use plastic water bottles. 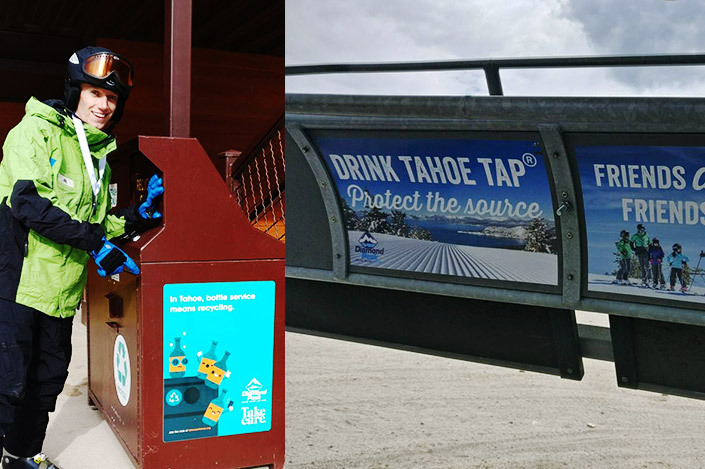 To aid this effort, they have added more hydration stations, campaigned for Drink Tahoe Tap, and selling custom reusable water pouches, which has led to a 34% reduction in water bottle sales (2,409 fewer bottles compared to the 2016/17 season). 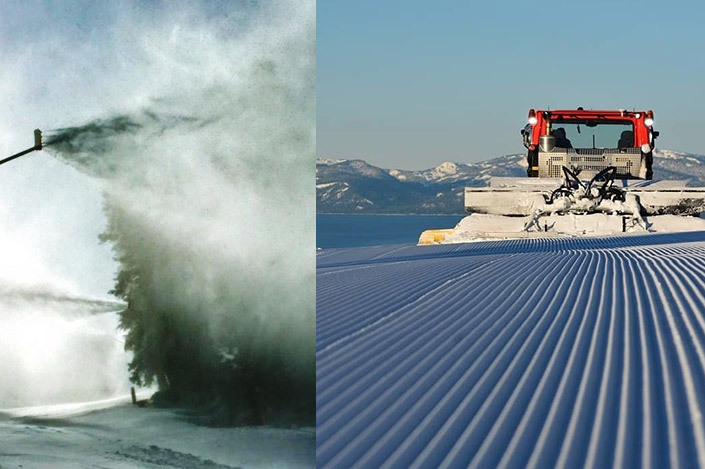 Recognizing its privileged access to Lake Tahoe through IVGID for all of its snowmaking needs, Diamond Peak has invested millions into watershed restoration efforts and the addition of 28 high-efficiency HKD snow towers over the last three years, which has saved an estimated average of 625,946.51 kWh per year. Two large storage tanks sit at mid-mountain and enable gravity-fed snowmaking operations to further reduce peak energy and water demand. The use of PistenBully's SnowSat snow depth technology maximizes the efficient use of natural snow and man-made snow to reduce the need for snowmaking in patchy areas. Sitting at the top a major watershed that feeds directly into Lake Tahoe, Diamond Peak takes great responsibility in mitigating erosion, wildlife, and water quality impacts. 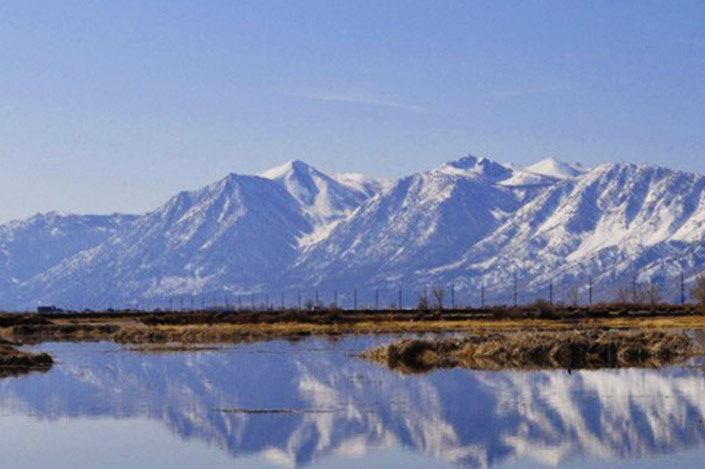 In addition to responsible use of Lake Tahoe’s water supply and frequent water quality testing at beaches and nearby streams, Diamond Peak and IVGID help Keep Tahoe Blue by pumping all of their treated sewage water outside of the Lake Tahoe basin to the Carson Valley, where it is released into a wetlands area owned by IVGID that creates a waterfowl habitat. Leftover solids are removed and transported to Bentley Ranch in Minden, NV for composting. After their lodge renovations in 2010, the ski resort completed a $1MM riprap installation in a Stream Environmental Zone to manage all runoff through a culvert system underneath the new parking lots to meet Tahoe Regional Planning Agency (TRPA) best practices. Lastly, all cleaning products are natural and biodegradable and no pesticides are used during summer slope maintenance operations, which would leach into the soil and make their way to the lake. Since 2015, IVGID’s Sustainability Coordinator has been recording and tracking the resort’s energy use in the Energy Star Portfolio Manager to better inform research into potential solutions for renewables and energy conservation. Besides the new high-efficiency snowmaking equipment, other investments in energy efficient lighting and HVAC systems since the 2010 remodel have seen an average annual decrease in consumption of 21% compared to the 2009 levels. 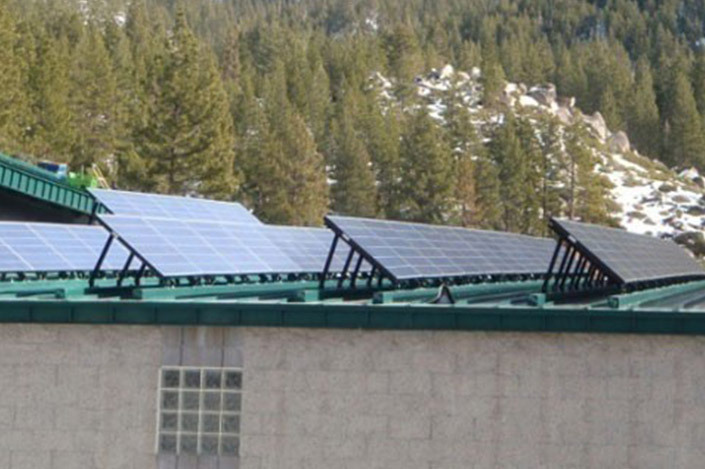 Although there is no renewable energy on-site except for the 27kW solar panel system at the IVGID Public Works Building down the road, the Nevada renewables market has been in flux for the last few years due to legislation changes and so it has not been feasible. However, the grid energy market is changing in 2018 and Diamond Peak and IVGID are currently evaluating local renewable energy purchasing agreements through NV Energy's Green Rider Power Program and hope to be sourcing 100% carbon-free energy by the 2019 season. Stoked? Check out the terrain! I’ve been fortunate to call this mountain home for my entire career in the ski industry. I’ve seen it evolve into a premier skiing destination while retaining its cultural identity, respect in the community, and environmental stewardship principles. STOKE came into the picture as our new Master Plan for year-round operations was nearing its final stages. 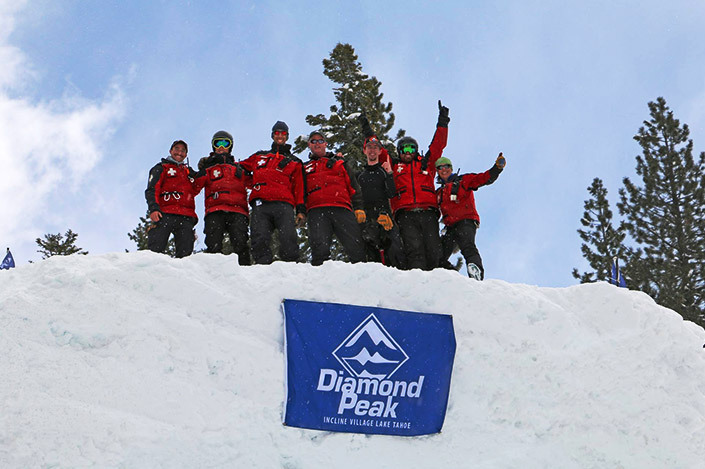 They have provided us the tools and knowledge necessary to make short- and long-term strategies for achieving best practices as we fulfill our vision for a more sustainable future of Diamond Peak Ski Resort. I’m beyond proud of everyone here for making this achievement possible. Use 100% renewable energy through NV Energy’s local sources and on-site. Transition our fleet of snowmobiles to four-stroke engines. Test the use of renewable diesel in our snowcat and shuttle fleets. Increase our waste diversion rates to 60% by composting food waste. Source more local food through Tahoe Food Hub. We greatly appreciate you taking the time to learn more about our community-owned ski resort and we hope to see you taking turns above Lake Tahoe this winter.